A Tennessee teen-ager suffered such emotional distress after growing enlarged breasts as an undisclosed side-effect of an anti-psychotic medication that the drug’s maker should pay him $70 million in damages, a Philadelphia jury has decided. That verdict, only for compensatory damages, was the latest rebuke to Johnson & Johnson over its drug Risperdal. Jurors found that J&J “intentionally falsified, destroyed, or concealed records,” that warned that the medication could cause gynecomastia, the abnormal enlargement of the breasts in men. J&J has lost a half dozen similar cases already, and it faces more than 1,500 damage lawsuits in Pennsylvania court. In one previous decision, a jury in 2015 awarded an autistic Alabaman $2.5 million after he developed 46DD sized breasts after taking Risperdal. I’ve written before about this problematic medication─and especially how federal regulators won a $2.2 billion settlement with J&& for illegally marketing the drug as a way, despite its known health risks, to control seniors with dementia in nursing homes and youngsters with behavioral problems and mental illness. Officials since have pushed nursing homes to sharply curb this medication’s use with the elderly, after finding understaffed institutions too readily used Risperdal to turn elderly patients into compliant zombies. Risperdal also is often prescribed to very young and troubled children, sometimes infants and toddlers. A crucial challenge to doctors who prescribe Risperdal and other medications to young people for behavioral and mental health woes is that the drugs rarely are tested in these age groups before they’re approved for wide public sale. Recent research, for example, raises questions about the effectiveness of more than a dozen drugs often prescribed to teens for depression. 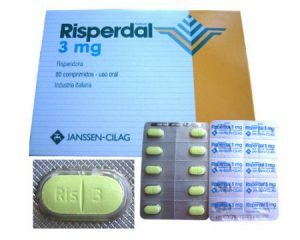 As for Risperdal and its side-effects on male breasts, evidence presented in various cases has shown that the plaintiffs often were young, ages 5 and 7, for example, when started on the drug for behavior or mental health issues. David Kessler, the onetime commissioner of the federal Food and Drug Administration, has testified for the plaintiffs in one of the Risperdal suits involving boys and breast enlargement. He said the J&J unit that marketed the drug knew of its side-effect but failed to inform pediatricians and psychiatrists─in what he termed a violation of the law. The company has termed the $70 million verdict “excessive,” and said it would appeal it. Although J&J─hit recently, too, with some eyebrow-raising big verdicts over claims by women of ovarian cancer from use of its baby powder─ has paid big sums over Risperdal’s harms and its marketing, the drug remains a potent revenue producer. This sadly may be yet another instance in which the repetitive power of increasingly expensive awards, obtained through suits in the criminal justice system, become a prime mover for regulators, and for recalcitrant Big Pharma to finally do the right thing for the benefit of patients and the public.